dedicated to rubber boots wearers. 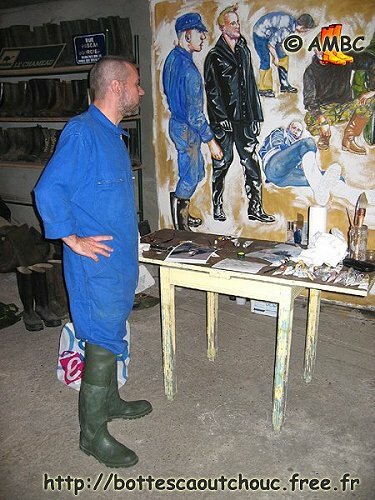 The fresco shows a variety of rubber boots and waders. 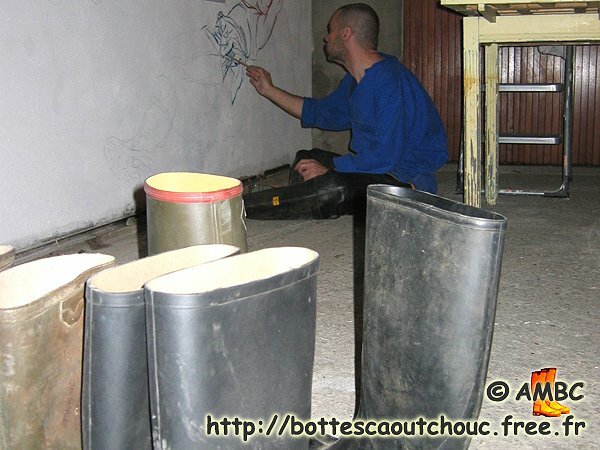 Amis de la Maison de la Botte en Caoutchouc - House of the Rubber Boot - website for more information.